Home care (also known as domiciliary care) provides a wide range of services to help individuals who choose to remain living in their own home, safely and securely as possible. By choosing to receive a service/s from SureCare, will greatly reduce the need to move into a retirement complex or care home. Our home care services are available to anyone in their own homes – from the older person or those with complex care needs. We also know that no two situations are exactly the same, so we tailor our care and support services to specifically suit you. 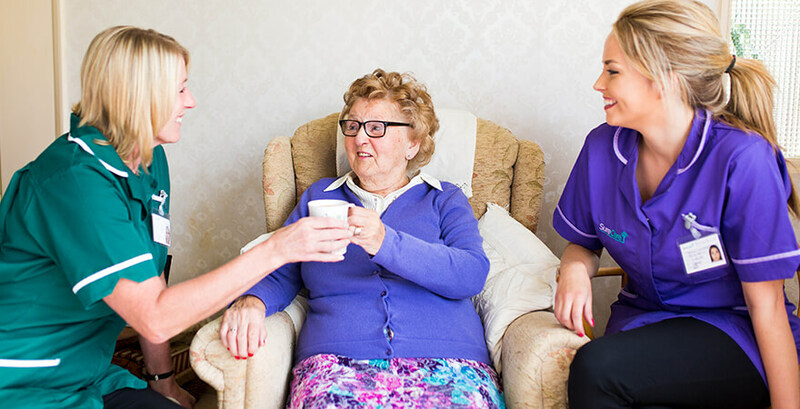 SureCare is fully regulated by the Care Quality Commission (CQC) and all of our care workers and care staff are subject to enhanced Disclosure and Barring Service (DBS) clearance. We can also offer Live-in Care to provide the same services on a permanent basis. Click here for more details on our Live-in Care services. Looking for Home Care in your area? Use the map below to find your nearest SureCare branch. "Thank you all for your help with Mum, you have been wonderful, could not do this without you all thank you."